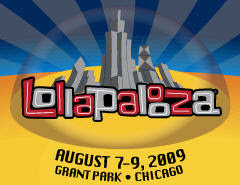 No matter how hard you try, it’s near impossible to see all the bands you want to see at Lollapalooza. Between acts that play simultaneously at different stages and the occasional need to stray from the music to get food and drink or just take a breather from the mobs, it’s inevitable you’ll miss some music you’ll probably end up kicking yourself for later. I find that heading into each day of the fest with around six sets you want to see is probably a realistic goal. With that in mind, here are six acts each day I recommend highlighting on your Lolla schedule. - Hockey (11:30 a.m.-12:15 p.m., PlayStation Stage) – I’m not sure if anyone gets to Lolla quite this early, but if you find yourself overly eager to get the party started you’d do well to check out Portland’s Hockey, who do 80s-inspired dance-rock quite well. - The Gaslight Anthem (2-3 p.m., South Stage) – This New Jersey outfit’s poppy, anthemic punk is tailor made for a summer music festival setting and should help get the blood pumping for a Lolla-filled weekend. Plus, the last time the band played Chicago - at the Bottom Lounge in April - they seemed a bit off, so hopefully their set will give fans the chance to see them in prime condition. - Heartless Bastards (3-4 p.m., Vitamin Water Stage) – The meaty, no-nonsense garage rock of this Ohio-grown band hits like a ton of bricks, thanks mostly to front woman Erika Wennerstrom’s throaty power vocals and straight-up guitar work. - Fleet Foxes (5-6 p.m., PlayStation Stage) – For some reason, I wasn’t thrilled with this much-lauded Sub Pop band’s set at Pitchfork Fest 2008, even though everyone else seemed to think it was the best thing ever. They make my list of this year’s Lolla picks because I’m ready and willing to give their revered “baroque pop” another chance. 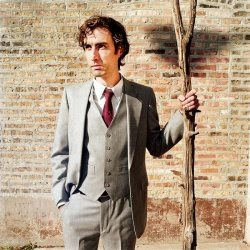 - Andrew Bird (7-8:15 p.m., PlayStation Stage) – Almost everyone on the planet seems to think Mr. Bird is the bee’s knees, raving about his live performances in particular. Perfect example: Bird’s pre-Lolla August 6 show at Schubas goes on sale this past Tuesday. Show sells out in under a minute. Yes, there's a reason people go crazy over the man’s atmospheric, whistle-laden folk pop, and his Lolla set will undoubtedly be a big hit. - Kings of Leon (8:15-10 p.m., Budweiser Stage) – Even though there seems to be a widespread, ongoing, inexplicable fascination with seasoned synth-poppers Depeche Mode - who are playing opposite Kings of Leon on the South Stage – I can’t bring myself to get onboard. Maybe I just don’t have a good enough grasp on the band to appreciate them. Whatever the case, Kings of Leon is my pick for Friday night’s headliner. I’ve never been as enthralled with the Kings as many seem to be, but their latest record is pretty damn good as far as arena rock goes. - Ezra Furman & the Harpoons (11:45 a.m.-12:30 p.m., PlayStation Stage) – Kicking off day two on the fest’s main stage is the quirky, clever and eclectic folk rock of New York’s Ezra Furman & the Harpoons – a great way to begin Saturday if you plan to arrive before lunchtime. - Los Campesinos! (2:30-3:30 p.m., Budweiser Stage) – Indie pop out of Cardiff, Wales that’s up-tempo, charming and exuberant. If music festivals are all about having fun, then this seven-piece should deliver in spades. - Chairlift (3:30-4:30 p.m., Citi Stage) – You know that iPod commercial song, right? The one with that peppy ditty about doing handstands and headstands and being permanently black and blue. True, songs being plastered all over advertisements tend to make them less appealing, but it’s somewhat forgivable when the material is great. That tune, “Bruises,” comes courtesy of this Brooklyn trio, who it turns out have much else to love on their breakthrough record Does You Inspire You, and should deliver a great set. - Arctic Monkeys (4:30-5:30 p.m., Budweiser Stage) – While this band’s much-hyped Brit rock never struck me as earth-shattering, it ‘s a solid choice and should do well for a much needed dose of rocking out after Chairlift’s dreamy, mellow fare. - Glasvegas (5:30-6:30 p.m, Vitamin Water Stage) – Scotland has a history of churning out some excellent bands, and Glasvegas is one of the latest. Their mixture of noise rock and Phil Spector sensibilities works marvelously, as evidenced by songs such as “Geraldine” and “Daddy’s Gone” off their debut, self-titled record. - Yeah Yeah Yeahs (8:30-10 p.m., Budweiser Stage) – The great thing about seeing the Yeah Yeah Yeahs live is that they don’t just deliver a set of songs, they put on a downright entertaining show. Karen O is one of rock and roll’s most entrancing front women since Siouxsie Sioux or Chrissy Amphlett, and their 2007 Lolla set was one of the highlights of that year’s festival. It’s unfortunate that the Beastie Boys had to cancel, but these New Yorkers are a sound replacement. - Ra Ra Riot (12:30-1:30 p.m., South Stage) – Likable indie pop-rock. Yes, there’s a lot of that out there, but as their record “The Rhumb Line” proves, New York’s Ra Ra Riot do it better than most. - The Raveonettes (3:30-4:30 p.m., PlayStation Stage) – Speaking of Phil Spector-inspired noise rock, this Danish duo has been mastering the sound for a while. Their bubblegum, 60s girl group melodies backed by feedback-drenched guitar attack is sure to prove a welcome stop in your Sunday rounds. - Neko Case (4:30-5:30 p.m., Budweiser Stage) – Case is kind of like Sunday’s version of Andrew Bird. Almost universally-adored, clever folk pop by a respected artist with ties to Chicago. Another one to catch, even if her sound isn’t exactly conducive to a festival setting. - Passion Pit (5-6 p.m., Citi Stage) – If for some reason Case’s sound isn’t hitting home, you might want to ditch out a bit early to catch this Boston dance-pop act at the Citi Stage. If their LP Manners is any indication, it should be tons of fun. You can download some free stripped-back renditions of tracks from the band via MySpace Music's Transmissions. 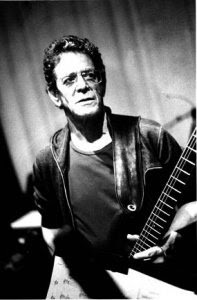 - Lou Reed (6:30-7:30 p.m., Budweiser Stage) – I’m not really sure what to expect from Reed’s set, but his legendary status and back catalog makes him a must-see regardless of what he plays. Lolla always seems to skimp on any acts that were in the spotlight before the 90s, so you have to catch them when you can. - The Killers (8:30-10 p.m., South Stage) – This one was tough. I suppose opposing headliners Jane’s Addiction have a sort of legendary status in the alt-rock world, and yes, the glitzy Las Vegas new-new wavers are overexposed and can come off as self-important, but in the end they win out for this slot because they’re simply much more fun. If you don't win, don't sweat it because the site is also hosting live video streams of some of the hottest bands playing at Lolla. You'll be able to watch your favorite bands over the internet performing live at Lollapalooza.